First of all, this is not a “get a six-pack in 30 days” program, though you will optimize your body fat percentage (over time) while following this nutrition approach. This is not just for a New Year's resolution, or right before you leave for Florida. This is par for the course. This is REAL FOOD to fuel the #BAREfitLIFE. There is a better way to live, and definitely a better way to die, than by falling victim to the Standard American Diet + the Standard American Sedentary Lifestyle. As part of the BAREfit community we encourage you to eat clean, move often, and rest well. *Note: We are human, we all eat like crap sometimes. Great results will not require perfection, but they do require consistency. MEDICAL DISCLAIMER: All Decisions Related To Your Health And Fitness Should Be Discussed With Your Family Doctor. We Will Always Continue Putting Out Information That Goes Along With Our Nutrition Recommendations. Use This As A General Guideline For Simple, Clean Eating. Follow Us On Social Media, And Check Out Our Blog Often, For Additional Resources. Our Hope Is That This Information Serves You Well. *Eat Organic When Possible. Why Organic? - Intact Grains: Quinoa, Old Fashioned Oats, Spelt, Barley, Millet, Brown Rice, Buckwheat, etc. Learn More About The Benefits Of Cereal Grains HERE. - Vegetables: All Of Them. Eat Raw, Steam, or Slow Cook For Best Nutrient Preservation. - Legumes: All Beans, Peas, Lentils, Peanuts. Learn More About Legumes Here. - Nuts & Seeds: Almonds, Cashews, Macadamia Nuts, Walnuts, Pumpkin Seeds, Etc. Here's Some Of The Healthiest Nuts & Seeds You Can Eat. - Grass-Fed Meat/Poultry/Seafood/Eggs: Some BAREfitter’s Choose To Abstain From Meat. This Is A Perfectly Healthy Choice. A Recent Study Shows That Opting Out Of Meat Is Especially Helpful For Gut Health. For Those Who Choose To Include Meat In Their Diet, Consider Choosing Grass-Fed Meat, Organic Poultry, Organic Eggs, & Healthy Seafood. Tip: If You Have Any Cholesterol Problems Or At Risk For Cardiovascular Disease, We Strongly Recommend Watching This. - Fruits: 2-3 Handfuls Of Organic Fruit Each Day Is The Optimal Amount. 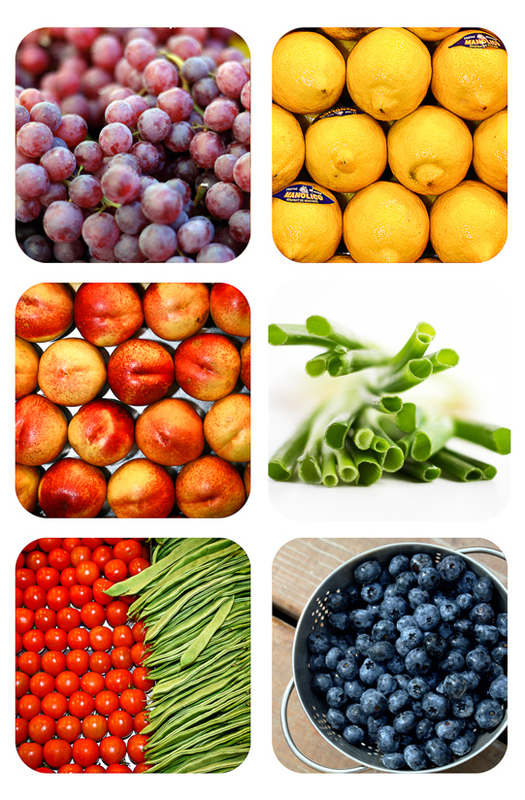 Fruits Are Filled With Free-Radical Fighting Antioxidants! Eat A Wide Variety Of Fruits, & Enjoy Them As Treats Throughout Your Reset. - Oils: Many Respected Nutritionists, Such As Dr. T. Colin Campbell, Recommend Avoiding Oils All Together. There Is Published Material Linking Extracted Plant Oils To Various Disease Formation. With That Noted, Moderate Consumption Of Oils Is Not Fully Discouraged. Remember A Little Bit Goes A Long Way. Optimum Oils: Coconut Oil, Avocado Oil, Extra Virgin Olive Oil, Sesame Seed Oil, Macadamia Nut Oil. Oils to Avoid: Anything Hydrogenated, Cottonseed Oil, Canola Oil, Soybean Oil. All Of These Are Heavily Processed & Often Genetically Modified. Tip: You Can Use Vegetable Broth As A Replacement For Oil When Sauteing Food. - Water: Spring Or Reverse-Osmosis Filtered Is Ideal. - Cold-Pressed Juice: A Juice Per Day (Or As Often As Possible) Keeps The Doctor Away. One Of Our Favorite Local Spots Is The Weekly Juicery. - Coffee And Herbal Tea: These Are Optional Depending On How Ultra-Clean You'd Like To Go. If You're Struggling At All With Energy Levels Or Gut Health, Consider Cutting Caffeine Out During Your Reset. Otherwise A Cup Or 2 Per Day Of These Beverages (Without Added Sweeteners) Is Acceptable. Chamomile Tea Is Especially Good To Help You Rest. Remember These Beverages Will Dehydrate You, So Stick To Water For Majority Of Your Intake. Note: Smoothies Are A Great Way To Get Lots Of Nutrients And Feel Like You're Having A Treat. Here Is A Overview Of Some Great Smoothies To Start With. - Processed/Refined Grains: When Ground Into Flours, Most Grains Act Like Sugar In The Body, Triggering Weight Gain, Inflammation And Blood-Sugar Imbalances. Here’s Why whole Kernels Are A Better Option. - Dairy: Cow's Milk Is Designed By Nature For Calves. Just As Human Mother's Milk Is Optimized For Human Babies, Cow's Milk Is Optimized To Baby Cows. As For Us, We Are Better Served By Almond, Coconut, Or Cashew Milk Instead. Sugar-Free Nut Milks Are Easy To Find. - Junk Food: Chips, Cookies, Candy, Crap. You Know What It Is, Don't Do It. - Booze: If You're Referencing This Guide For Day-To-Day #BAREfitLIFE Nutritional Guidelines, You Are Fine To Have Some Occasional Adult Drinks. Always In Moderation Of Course. But During Times Of Intense Focus On Results, Consider Eliminating Alcohol Completely. - Soda & Fruit Juices: We Probably Don't Need To Educate You On Why Sugar-Laden Soda Is Horrible For Your Health. So We Won't Even Include A Link On This One. Just Google It If You Must. There's No Credible Nutritionist On Earth That Doesn't Recommend Giving Them Up. Sadly $$$ Talks. Thus Sodas Are Still A Huge Part Of The Standard American Diet. Just Like Cigarettes, Throw Them Out! Forever. Aspartame/Sucrose Sweetened Diet Sodas Are No Better, Due To The Many Issues Associated With Those Artificial Sweeteners. Tip: Try Zevia. While Water Is Always Better, These Sodas Are Sweetened With Stevia, And Contain Zero Calories. Have One In Moderation If You Aren't Ready To Kick The Carbonated Beverages To The Curb. As For Juices, We Love Cold-Pressed Vegetable Juices, With A Little Bit Of Fruit To Add Flavor, But Classic OJ, Grape Juice, Etc. Is Way Too Much Sugar. Your Body Can Barely Tell The Difference Between That Stuff & Soda. Just Eat The Fruit. A Typical Meal Should Include An Intact Grain, A Starchy Vegetable, A Leafy Vegetable, A Fruit, And A Legume. Depending On Your Preference For Meat, Fish, Poultry, Seafood, Or Meat Alternatives, They May Be Included In A Typical Meal As Well. A Couple Of Handfuls Of Nuts And Seeds Per Day Serve As Great Snacks. Use The Plate (Pictured To The Left) As Your Basis For Portioning Out Food. We Recommend 4-5 Small Meals Throughout The Day. Grazing On Small Portions With Less Time Between Meals Helps Speed Your Metabolism. You May Consider Making Intermittent Fasting. This Is Usually Done With A 16:8 (Fast/Eat) or 14:10 Sequence. Many Find It Easier To Stick With Their Caloric Intake Goals By Restricting Their Hours Of Eating. Fasting For Part Of The Day May Also Have Health Benefits. Here’s More Info On This Discipline. Meal Prepping Is Imperative. Here Are 2 Helpful Videos On Beginner's Meal Prepping. The First Is Plant-Based And The Second Includes Meat. There Are Many More Food Prep Resources On Youtube As Well. The Key To Meal Prepping Is Spending A Chunk Of Time Preparing And Cooking Meals For 3-5 Days Ahead. That Way You Can Just Heat (As Needed) And Eat. Meal Prepping Is The Most Effective Way To Limit Temptation To Cheat. Your Meals Are Ready, No Ruminating About "What Sounds Good." Just Healthy Food Ready To Roll. Subtract 300 From Your TDEE. That Is Your Daily Caloric Intake Goal. After 2 Weeks, If You’ve Lost 2.5 to 3.5 Pounds, You’re On Track. CLICK HERE TO CHECK OUT HEADSPACE: A VERY HELPFUL BEGINNER MEDITATION PROGRAM. "Your feelings, your emotions, are the access point to your inner powers of mind. The most important part in the process of getting in touch with your feelings is to begin to practice solitude on a regular basis. Solitude is the most powerful activity in which you can engage. Those who practice it correctly and on a regular basis never fail to be amazed at the difference it makes in their lives." - In The Morning. Before Emails, Social Media, Or Anything Else Distracts You, Take Time For Silence & Solitude. Periods Of Time Up To 60 Minutes Have Increasing Benefits, But Aren't Practical For Many Of Us As Daily Disciplines. Start With 10 Minutes, Work Your Way Up To 15-20. And Periodically Allow Yourself To Become Fully Immersed For Longer Periods Of Time. You Will Start To Look Forward To This Time. - According To Your Beliefs, You May Include Prayer Or Meditation Into This Time. - Drinking Coffee, Tea, Water, Diffusing Oils, Softly Playing White Noise Or Nature Sounds May Also Enhance Your Experience. - It's Your Time, Use It In The Way That Most Feeds Your Soul. Further Info: Here Are 10 Important Reasons To Make Time For Silence & Solitude. You Become What You Think About. Using The Same Email, Feel Free To Send Us Your Feedback And Suggestions. And Thank You For Deciding To Commit To Your Health. The Healthier We Become, The More We Can Be An Encouragement To Others. MAKE THE WORLD YOUR PLAYGROUND! OUR CREW IS HERE FOR YOU!